I've been hand shaping, glassing, sanding and spraying boards for many years. My surfboards are the result of years of surfing experience and design research as well as feedback from my team riders. 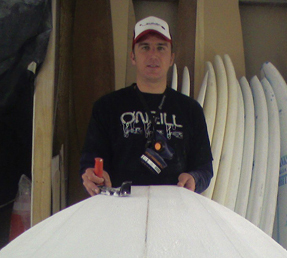 From my Adelaide factory I supply surfboards to customers throughout the world including Europe and Asia. Over the years I've surfed Australia from east to west and spent years surfing Indonesia. I've shaped everything from shortboards, malibu's, mini-mals, and hybrids through to guns, balsa guns, kneeboards, kiteboards sups, nipper/paddleboards and wakeboards. 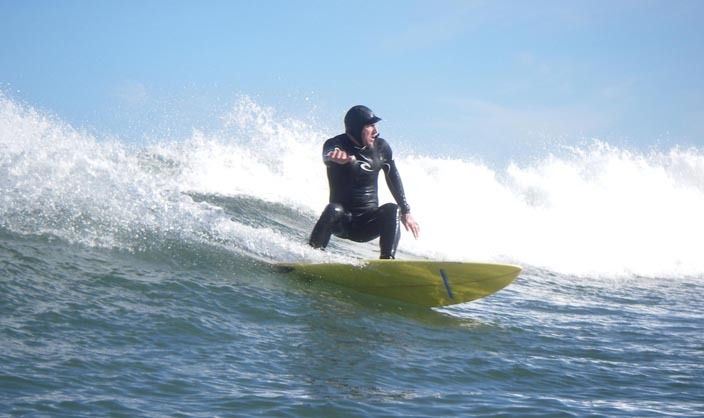 I enjoy all facets of design and the relationship between surfcraft and water has captivated my imagination. The knowledge I have gained over the years is put into every board so that 'you' the customer can receive the ultimate thrill.